Fresh crab legs, a National Aquarium, and our own Washington Monument. What’s not to love about B’more? 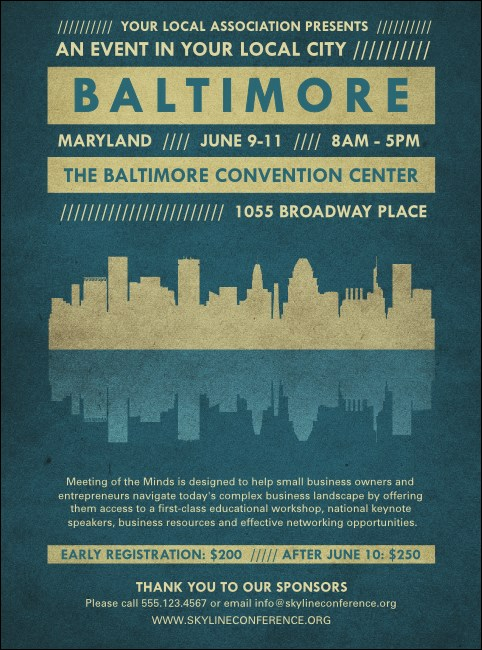 Show your potential guests what they’ll miss when you promote your event in advance with Baltimore Flyers. These Flyers feature a pretty blue and beige background and an image of the city’s downtown skyline. Charm the masses in Charm City with TicketPrinting.com.